Twitter is a fast-moving network that connects us with the latest stories, news, ideas, information, and opinions. Not only is it a great tool for staying current, but the right Twitter marketing strategy can help financial advisors reach out and connect with a rich network of fellow experts, thought leaders, and prospects. Here at Commonwealth, I see many advisors succeed with Twitter when they start small and grow slowly. (This holds true for LinkedIn as well.) Here are some tips and best practices for you to start out on the right foot—and develop a strategy that will succeed in the long term. Choose a good username. Aim for a name that connects you to your professional identity, preferably your own name. Remember, you're limited to 15 characters. For example, Brad McMillan—the CIO at Commonwealth—chose @BradMcMillanCFA for his username. Use your real name. Here, you're restricted to 20 characters. Include your company's website address. This will drive traffic to your site. Creating a biography can be little tricky due to the 160 character limit. Describe who you are and what you do—and be sure to include some keywords that will help you get found, such as your specialties. Your profile image is usually a photo of yourself—it should accurately reflect you as a professional. Many advisors use the same image for their website or LinkedIn profile. The header photo is a slightly larger image that appears behind the profile photo. Keep in mind that your biography will appear over the photo, so choose an option that allows for the text to be legible. Choose a custom background image or one provided by Twitter. Many financial advisors are required to have certain disclosure information for regulatory purposes. Start following relevant people and organizations. Create your own custom news feed by following your favorite sites, publications, and industry experts. This is a great opportunity to get all your news in one spot. If you come across an insightful tweet, an interesting article, or a worthwhile link, retweet it to send it to your followers. Share your thoughts and ideas by tweeting. Remember, tweets must be 140 characters or less. Twitter counts characters as you compose a tweet, letting you know when you've maxed out. Since your handle will be included if someone retweets one of your messages, I recommend aiming for 120 characters, so your original message doesn't need to be modified if this occurs. When sharing a link, you'll need to shorten it to save room for your message. Many advisors use tools to create custom shortened URLs, such as the free service, Bitly. When a follower mentions you in a tweet or favorites one of your messages, be sure to acknowledge him or her in some way. Many advisors reply and send a thank-you tweet. Create a schedule. Like all social media marketing efforts, you must contribute consistently to see results. Be sure to create a plan to check your Twitter feed regularly. Consider enlisting the help of others at the office—everyone can take turns composing tweets that are later approved and published. This may help keep your content fresh and ensure that you're tweeting frequently. This is a great Twitter marketing strategy for all financial advisors who are now joining this social media platform. Once you get started, I think you'll be amazed at what a powerful tool and resource Twitter can be for you. 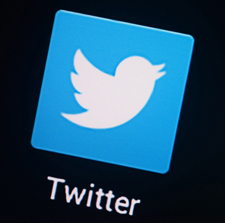 Do you have any other tips for financial advisors building their use of Twitter? Share your thoughts below.